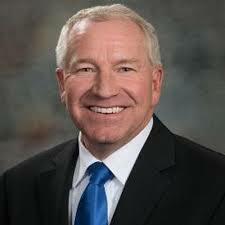 Sen. Dan Watermeier has prioritized LB44 and amended the bill with a new approach to his proposal from last year to require out-of-state online retailers to collect sales tax on purchases by Nebraskans. This new approach takes away the unconstitutional concerns with LB44. The retail industry and state and local governments, who have lost out on billions in uncollected tax, are pleased to see the Supreme Court will be hearing the South Dakota case in April. Watermeier’s amendment also includes language in anticipation of the court’s possible reversal of the 1992 Quill Corp. v. North Dakota case. If LB44 passes and Quill is overturned Nebraska would be in line to start the collection of out-of-state online retail sales on July 1, 2018.